Samsung isn't just busy working on its Galaxy S10 and Galaxy X smartphones, it's also apparently working on a new display interface that could be named Tisplay. It sounds a lot like Iron Man or Minority Report in real life. At last! The display and name were spotted by ever reliable patent poker LetsGoDigital. 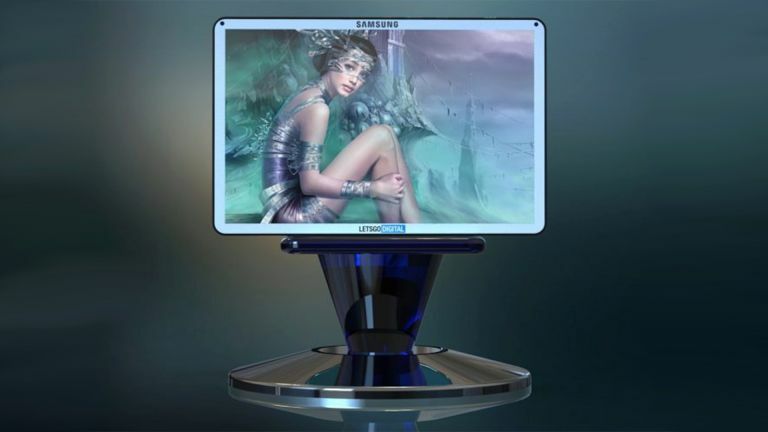 It says the official Samsung patent application documents describe a totally new type of 3D television or monitor that uses a three-dimensional user interface. The display connects to a smartphone which is used to control the three dimensional on-screen menus. The idea is to display content in 3D on the screen and have touch controls to look at it from different angles. This doesn't use a hologram, yet, but is a step in exactly that direction. These kinds of interactive displays are just what a hologram will be like once that projection side of things is finally perfected. The patent even describes the ability to use a camera to take real world objects and scan them into the virtual world. Yes, exactly like Tron. The second patent for a software that 'displays virtual images' was called Tisplay so there is a chance that is what this device will be named, although not if Samsung has any sense. This was also described as a way of advertising in 3D. There is a chance this tech could be developed for shopping, in store as well as at home, in a virtual 3D environment that offers a more lifelike experience.